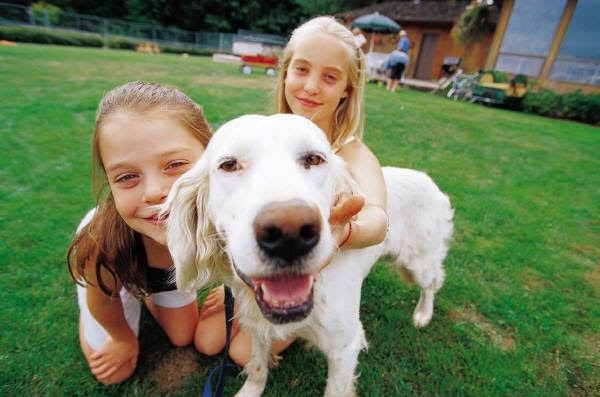 There have been numerous articles and studies to demonstrate how owning pets at home is beneficial for children: google it if you won’t take my word for it! Without rehashing everything that’s already been said on the subject, I’d like to cover it from two unusual angles: one is tolerance, the other is the benefits of integrating animals… in school! Pets in school: The idea may sound awkward and still I’m not the only one advocating for this. Please go past prejudice and think about it for a minute: how can coexisting with animals in school be beneficial to children? For one thing I’m pretty sure this naughty word has already formed in your mind: “allergies”. Well, of course this has to be taken into consideration and handled with caution, but many studies have proven that, in fact, children who grow up with pets show significantly higher levels of immune system performance. This means they’ll be more resistant to diseases in general, and allergies in particular. So as long as parents inform the school of any pre existing animal allergy, animals in school are more likely to make your kids healthy than sick. From an educational perspective, the presence of animals can be just as beneficial as having a school garden: teachers can address the specific biological and behavioral particularities of each animal, and this can be used in from biology to social studies, geography or even vocabulary (there’s a lot of vocabulary related to animals!). More importantly even, children can and should be involved with taking care of the animals: the same way school has an important role in teaching them how to respect and support each other, and how to take on responsibilities (classroom management, watering plants), children can share tasks such as feeding the animals, and must learn not to harm them. Learning not to pull the dog’s tail teaches them that others can and shouldn’t be hurt. Learning not to cut the cat’s whiskers teaches them that others have needs that they might not have (whiskers are essential for cats) and that those needs need to be identified and respected. 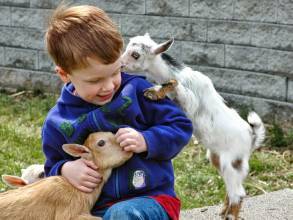 Beyond learning responsible behaviors, children will feel proud to have taken properly care of an animal. They’re usually the ones being taken care of by adults: here they can be just as important to someone else’s well being as their parents and teachers are to their own! The emotional aspect isn’t to be neglected either: psychologists have proven that children often consider their pets as good friends, and that they’re likely to speak to them or go to them for comfort. School has its hard moments, too: sometimes a child may feel misunderstood by adults, or have difficulties to integrate a group of confident kids who know each other well. Being able to relate to an animal and find a friendly presence in it can give them, I’d say, some space. An additional affective realm to invest whenever the usual ones fail to provide comfort. When children need extra care, special animals are there to help! (Dogs, horse, monkeys, dolphins and others). 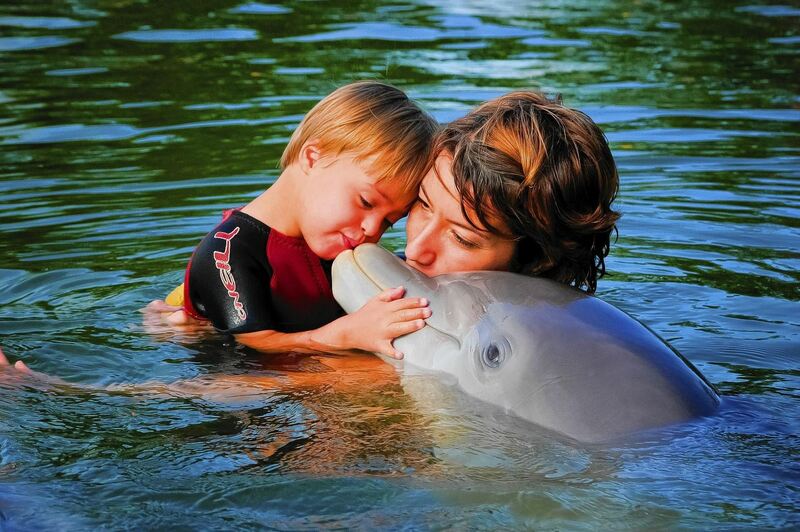 Dolphin Assisted Therapy refers to a type of treatment for people with and without disabilities by using dolphin interaction as an attempt to rectify or lessen the disability, this helps children learn to feel more positively about themselves in an environment that promotes fun, play and learning, providing them with the opportunity to bridge that experience back into their personal lives. The overall experience causes a relative improvement in the child’s awareness, mental state and in the way they relate to the environment around them, which can be noticed session after session. This therapy dates back to the 1950s and the work of Dr. John Lilly, who studied the effects of dolphins on individuals with disabilities. Last but not least (there are in fact other things, but I don’t want to use too much of your time), animals are just… a part of our world that urban children are being more and more deprived of. Our grand-grandparents shared their world with all sorts of animals. Today, save for pigeons that won’t let you go anywhere near them and caged animals in zoos, urban kids who don’t own pets at home know animals… from TV and books! Some reach the age of 15 without having ever seen a horse or a cow. Because yeah, when I say a school can have animals, I don’t just mean cats and dogs and fishes and hamsters. Some school have goats, sheep, hens, ducks or even larger farm animals (alligators and lions are usually avoided, I’ll give you that). Those creatures are part of our history: without their assistance, creating civilization would have been an impossible task (we’ve needed them for everything from food to agriculture to hunting to fighting rats infestations). Today we may not need them so much in our everyday life, but we keep teaching kids they must respect their environment, that biodiversity is crucial to our survival, and the topic of animal rights is going to be more and more a matter of law in developed countries. How do you raise an environmental awareness if everything environmental, from plants to animals, is an abstraction to your kids, if all they know is a world of glass and concrete? Sure, they can raise a Tamagotchi on their smartphones but it’s not quite the same, isn’t? I believe school has a responsibility when it comes to bridging the gap between man and nature, and this starts with a garden and a few animals! I do think living with pets can make children more open-minded, at least with some parental guidance. But first, let me make a somewhat odd statement: animals are aliens. They are, of course, from this earth, but they are other lifeforms. They do not understand or sense the world the way we do. At all. And still, we manage to love them deeply, we cry when they pass, we fear when they’re ill, we spend hours petting them and we welcome them in our own beds, as some kind of living teddy bears. This isn’t a little thing. I mean seriously, in a world when so many humans blame other humans for being of another color, religion, culture, language, despite sharing the same DNA, it’s pretty miraculous that some can love a cat or a dog as they’d love their own children! And still we do! And a miracle it is indeed! This is where parental guidance has a role: by explaining to children what animals are. I’ll take a simple example: children (or even adults, for that matter) often take for granted that most animals are stupid. Well, sure they aren’t capable of solving a math equation or to understand Hegel. Nevertheless, sometimes, what we perceive as a mark of intelligence is just, to them, unnecessary! Animals actually develop specific behaviors according to their species’ needs in order to survive. Some are herd animals, others are lonely creatures. Some are predators, other aren’t. Those factors alone, alongside several others such as environment, will condition their behavior. Take dogs and cats for example. Dogs are pack animals. They live in structured hierarchies and are, therefore, naturally inclined to submit to the dominant specimen’s will. Because of that, they’ll be inclined to learn tricks or obey you when you ask them to sit, stand or bring back an object, because they want to please you. Cats, oppositely, are natural loners: they survive on their own and usually don’t interact much with each other. Therefore, they haven’t developed a sense of hierarchy. They might, in fact, be able to understand “sit” and “lay down”, but their brain will never be able to understand the necessity to obey such orders, for doing so would be no less than a total absurdity to them! Still, check this out and see how smart a cat can be and check this to see how adaptive dogs are. This is a thing that can help a child to respect differences. Because a living being has different needs, it has a different form of intelligence, but two animals that can “do” different things can be equally intelligent, the same way some people are better at math than at literature, and the same way some cultures are better in certain fields than others (India may not have yet resolved its power cuts issues, but they have the best anthropologists in the world!). More interestingly, cats will adapt to human environment by forming packs when living in cities, or simply when sharing a house with humans. Tell this to your child if you have several cats: they may have an IQ of 30 but still, they have adjusted! They have developed unnatural social behaviors in order to function harmoniously with other cats and/or humans! If this isn’t a lesson in tolerance I don’t know what is! Another one: the way cats meow to you. They do this only with humans! Cats have little for meowing in their natural states, it serves a very limited range of very specific purposes. Instead, they use a whole range of pheromones and body language to communicate. But with humans they will meow all the time, to signify anything from “I’m hungry” to “please open the door” to “you make me happy” to a simple greeting when you come home! They somehow, intuitively understand that we communicate mostly through verbal language and adjust to that in order to communicate efficiently with us! Wow! By learning that their pets have different needs and behavior priorities than other animals, let alone us; as well as a strong capacity to adjust their behavior to members from their own species, let alone other species; children can put things into perspective and learn not only to love, but to respect their pets. This is not quite the same as loving the cute but stupid living teddy bear. By developing the curiosity to try getting in their pets’ heads and wonder how they see the world, how they feel it, how they understand it, why they act the way they act, children do no less than getting beyond the human experience. They literally enter another dimension. And they also understand intellectual limitations differently, which leads them to become less judgmental. Now imagine for a minute that your child understands that his cat isn’t an idiot just because it pees on the carpet, a carper that has no other value to him than of a place to mark his territory, because he feels he needs to mark his territory. Maybe then, it’ll be a little easier to explain him why some people, in some part in the world, have a totally different system of values than yours. After all, the strangest human behavior can’t be as weird as peeing on the carpet, can it?! And since we live in a multicultural world, this might come handy in the end!